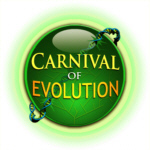 The Carnival of Evolution #48 is up and it has been Pharyngulated! The Squidmiester himself, P-Zed Myers, who inscribes his electronic tome of iniquity (a blog) from atop a throne of humans skulls (a ordinary office chair), ensconced in his deep sea fortress of doom (the University of Minnesota Morris), is hosting the 48th Carnival of Evolution at his retched hive of scum and atheistic villainy, Pharyngula!!! You are not going to want to be late for this one, because the lucky ones will be eaten first!!! 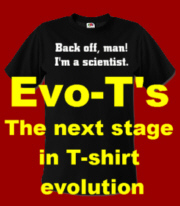 This entry was posted in Biology, Blogging, Defending evolution, Education, Evolution, Natural selection and tagged blog carnival, Blogging, Carnival of Evolution, Cthulhu, doom, evolution, iniquity, Lots of doom, Pharyngula, PZ Myers, scum, villainy. Bookmark the permalink.